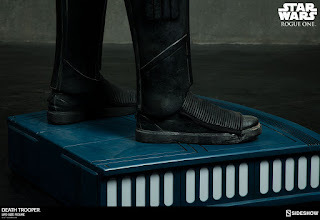 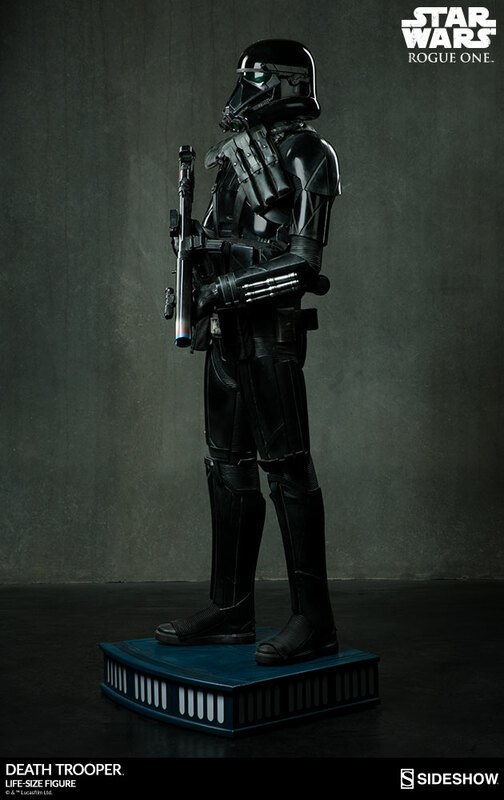 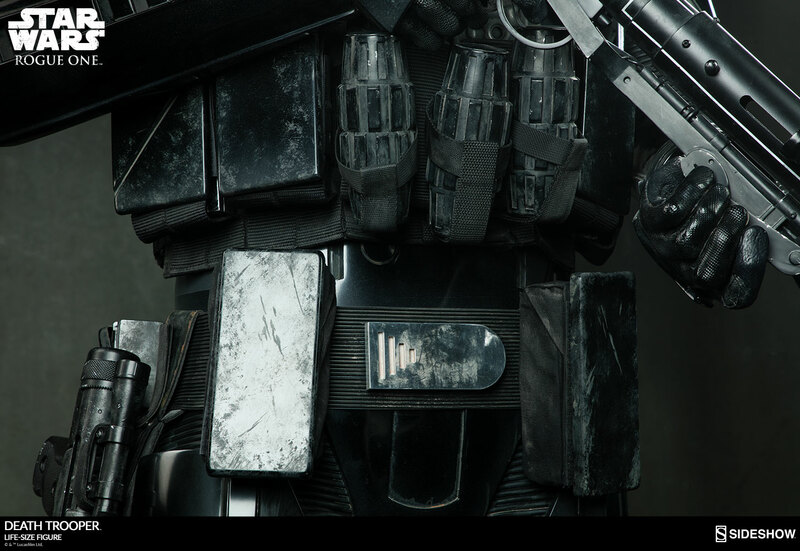 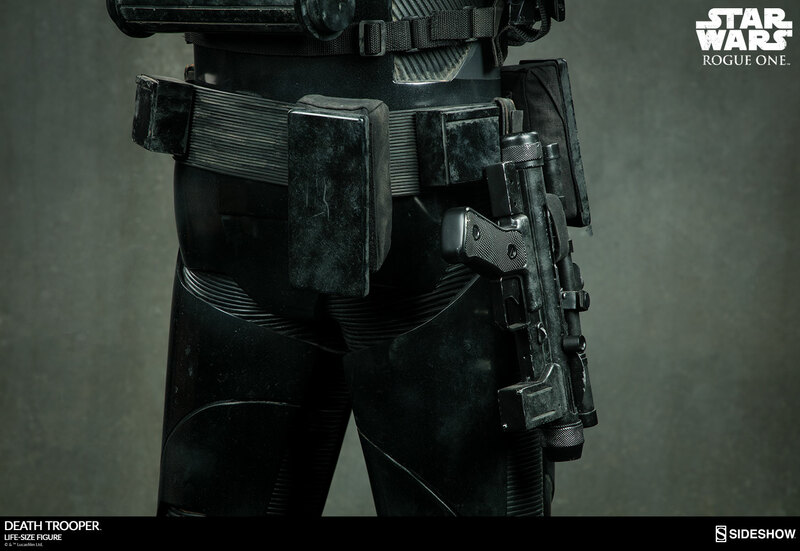 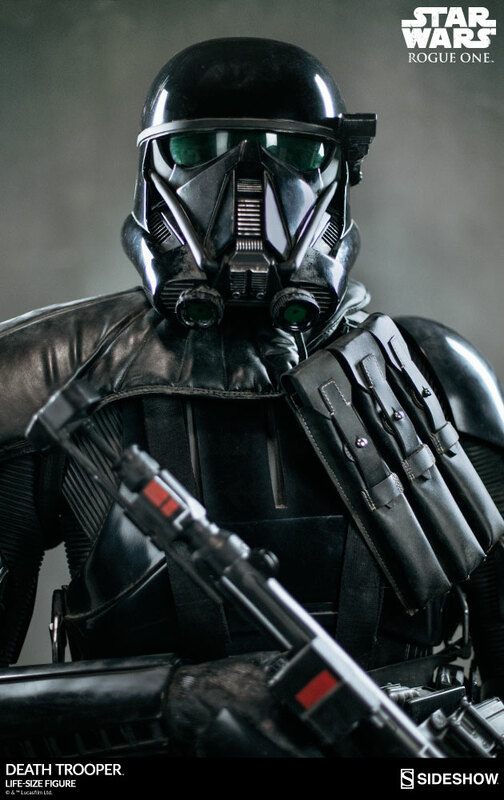 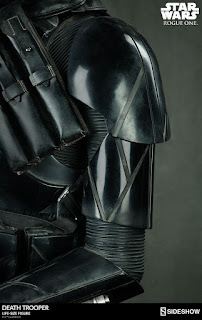 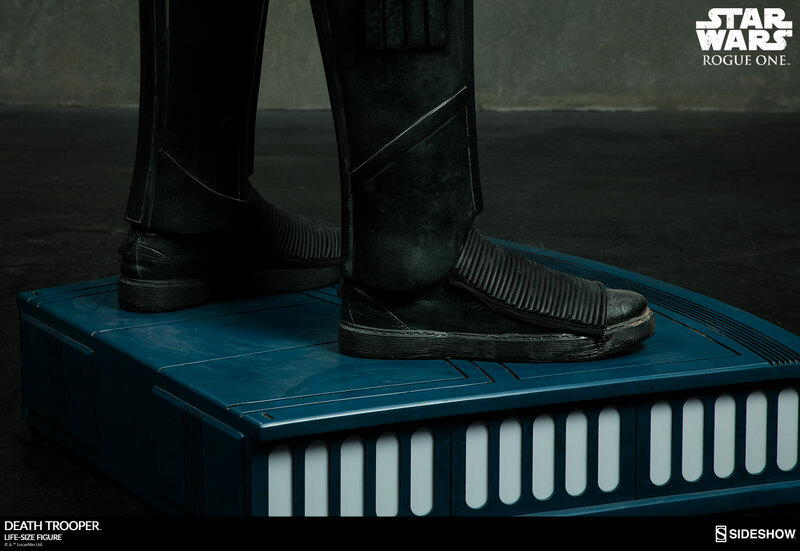 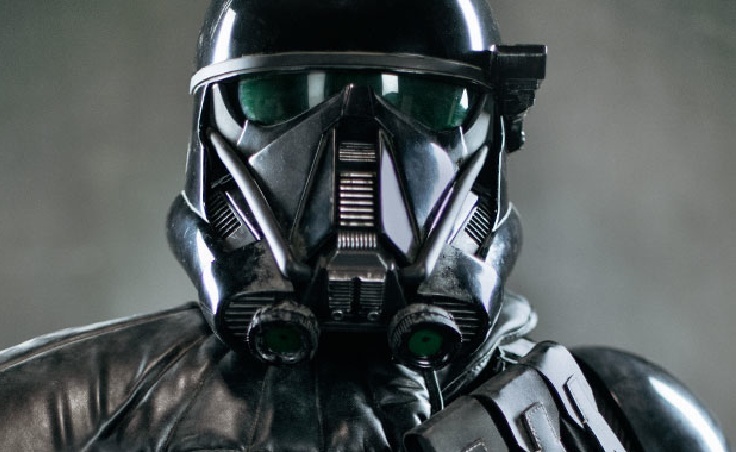 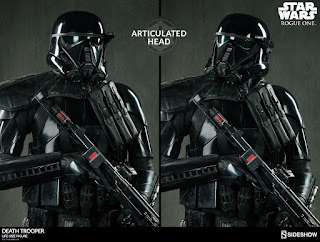 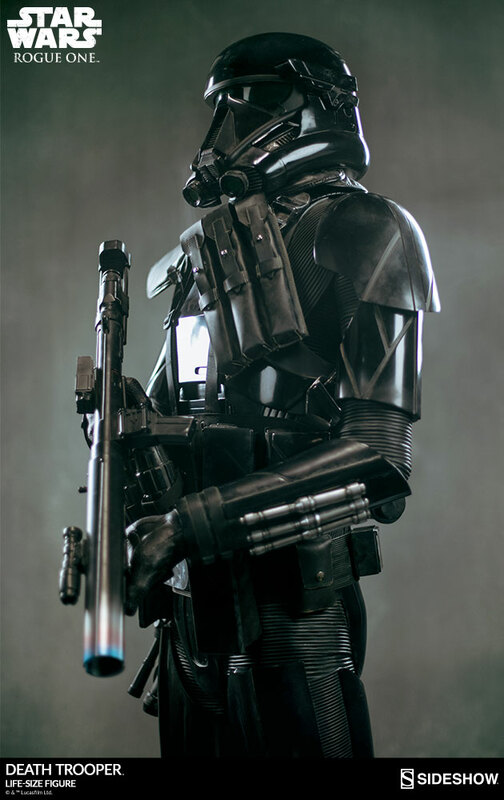 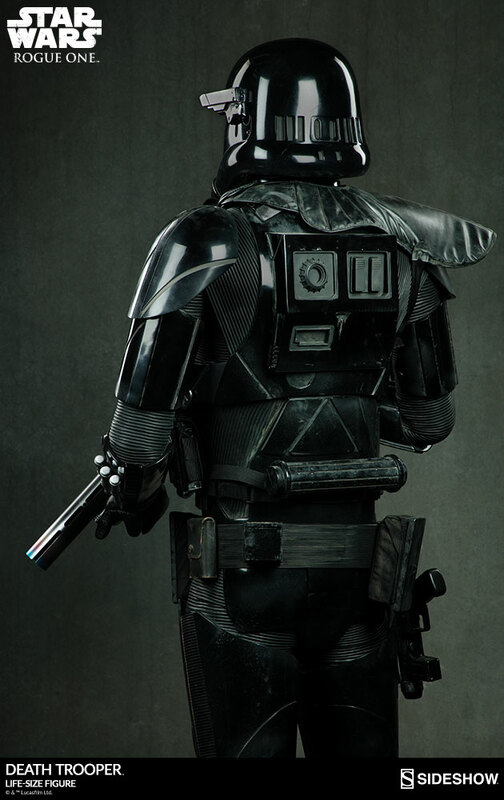 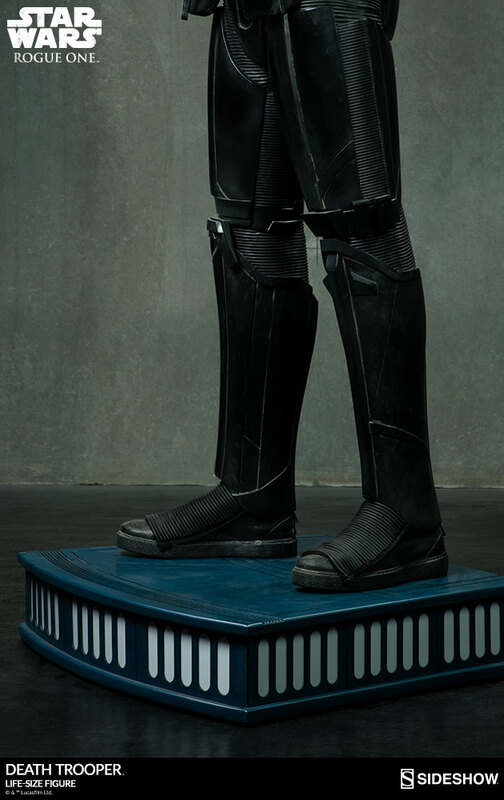 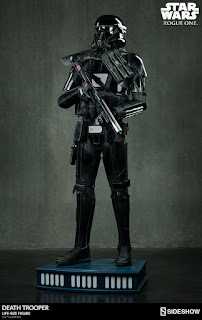 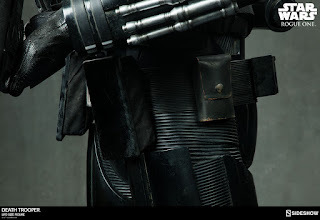 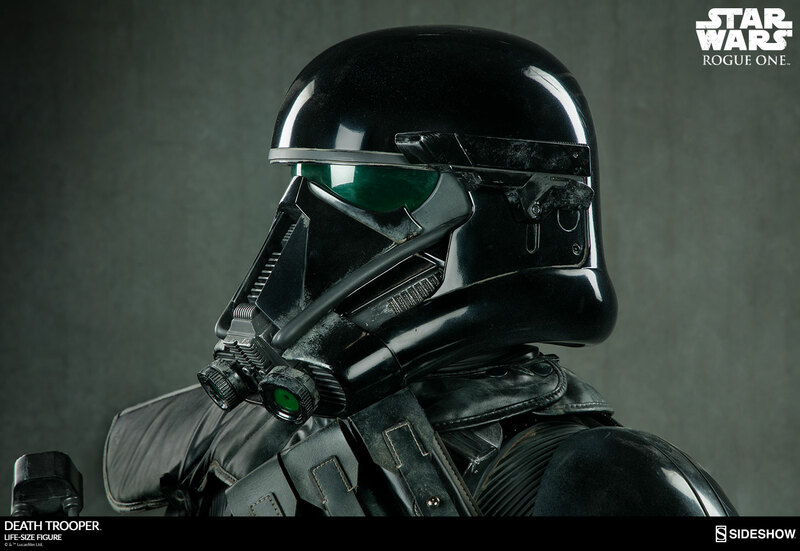 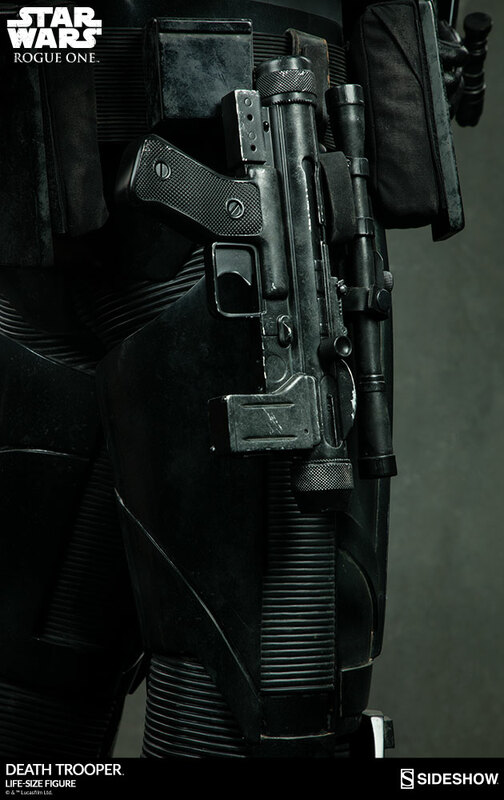 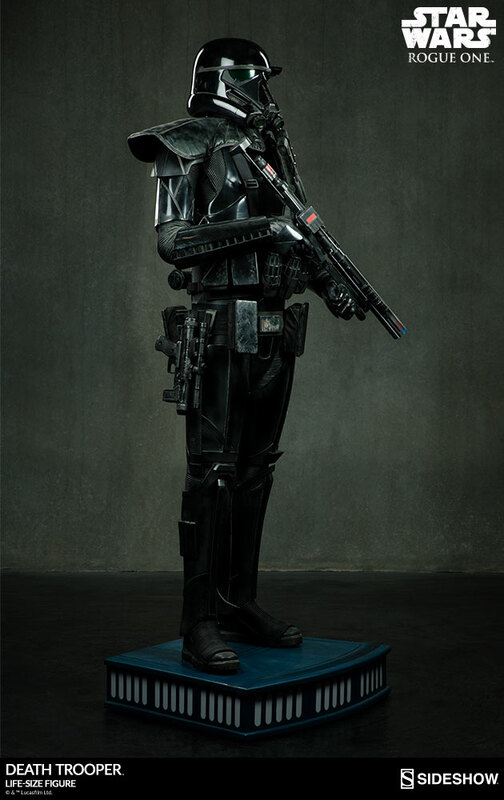 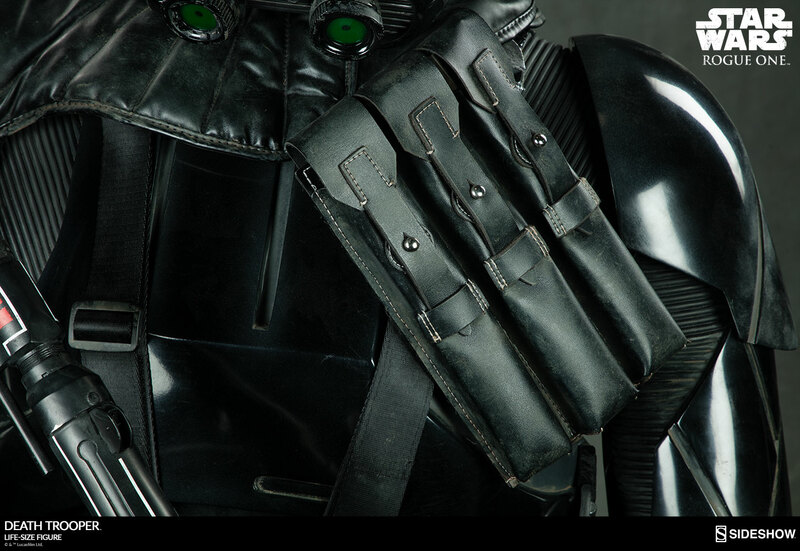 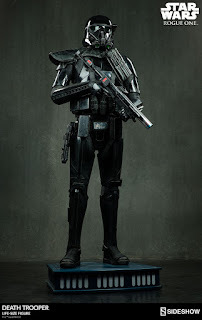 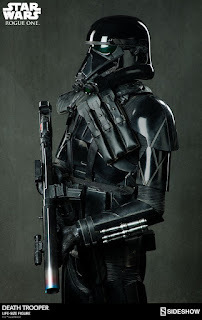 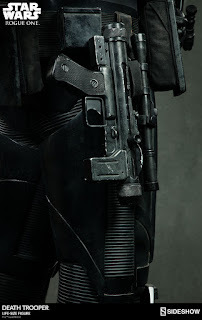 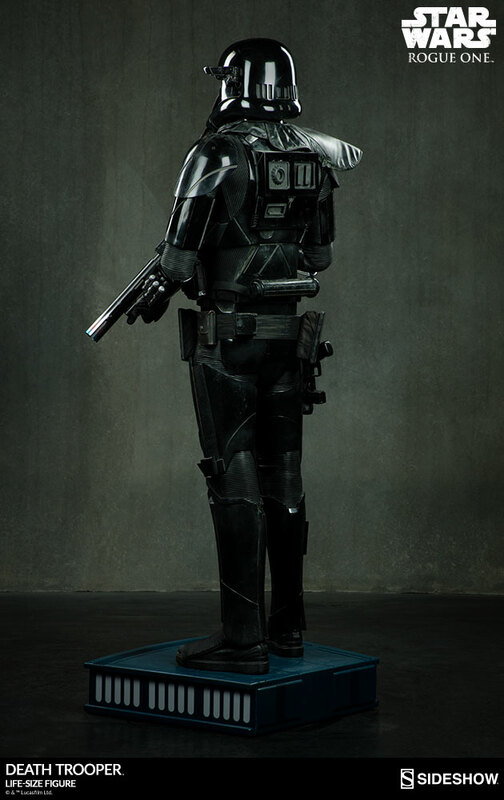 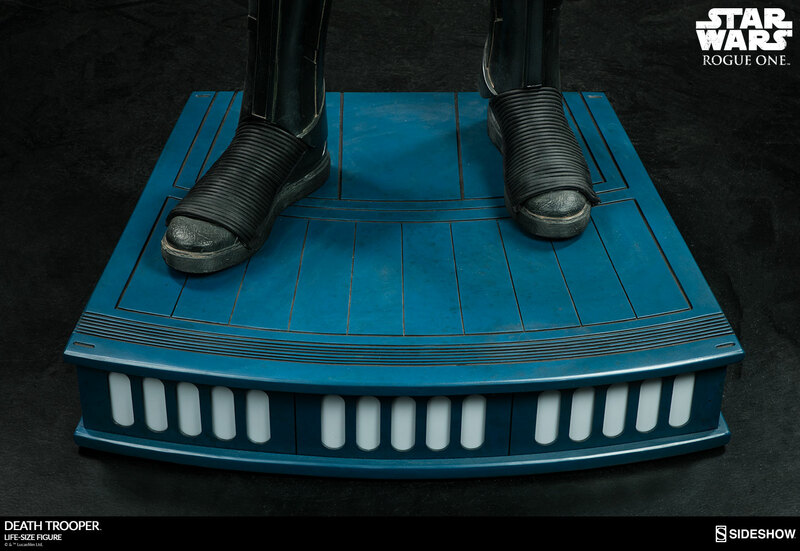 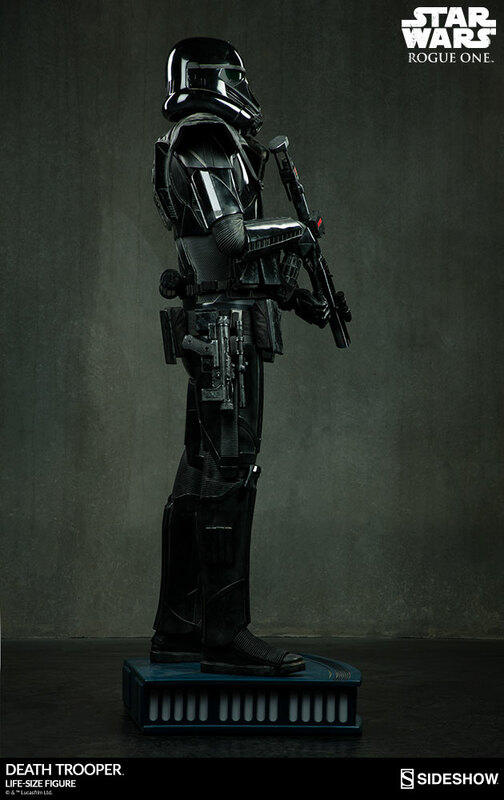 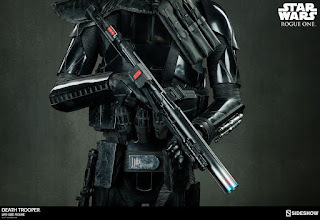 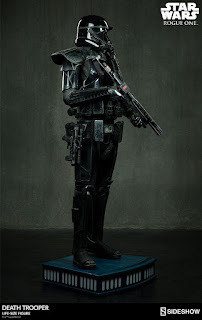 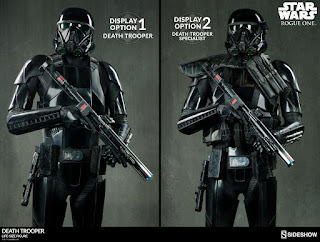 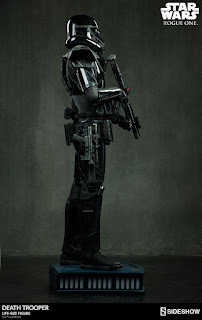 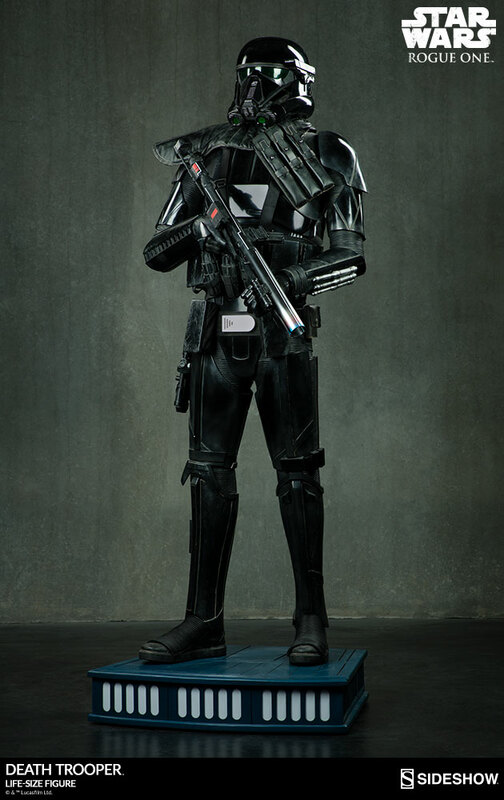 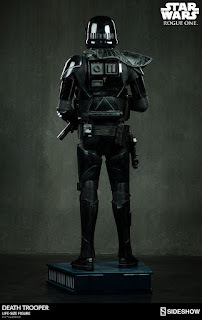 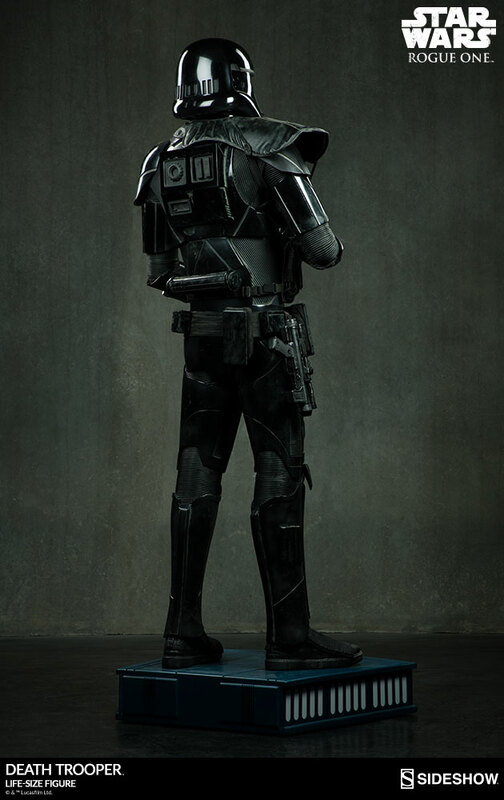 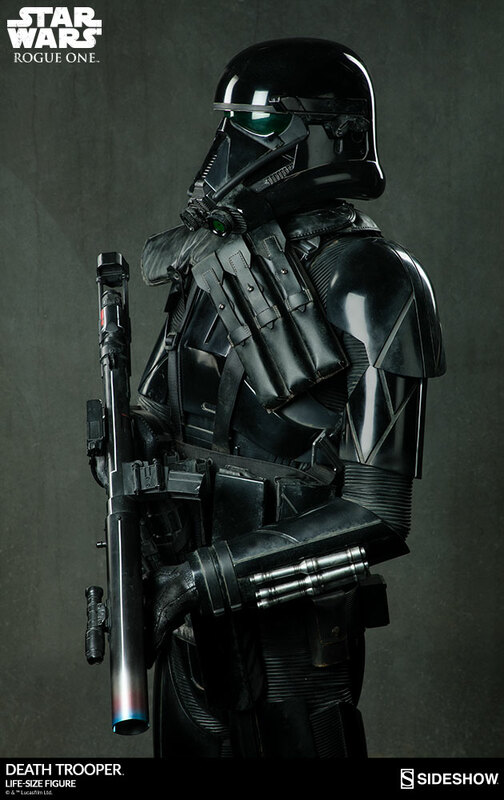 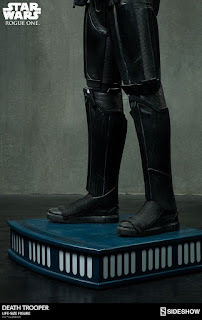 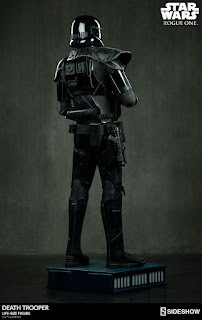 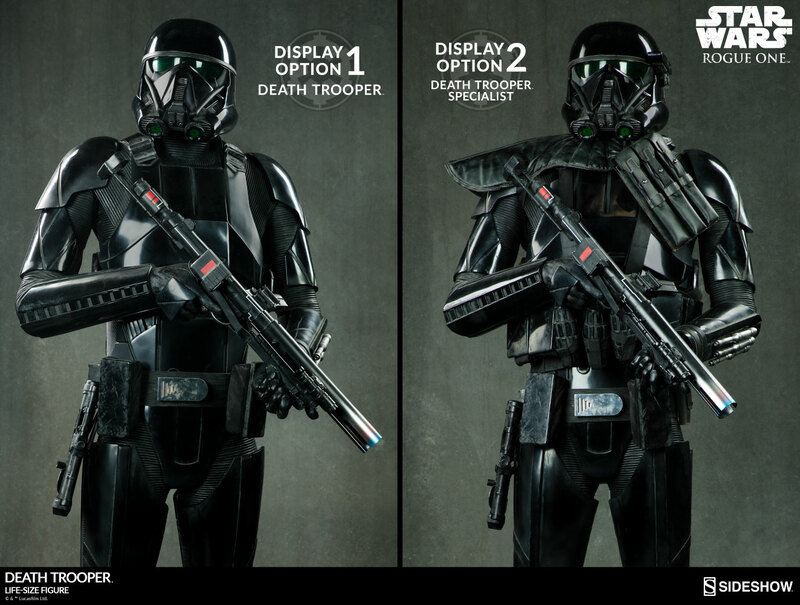 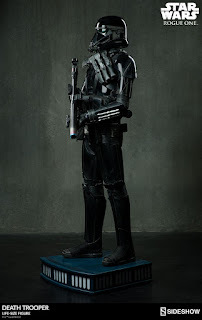 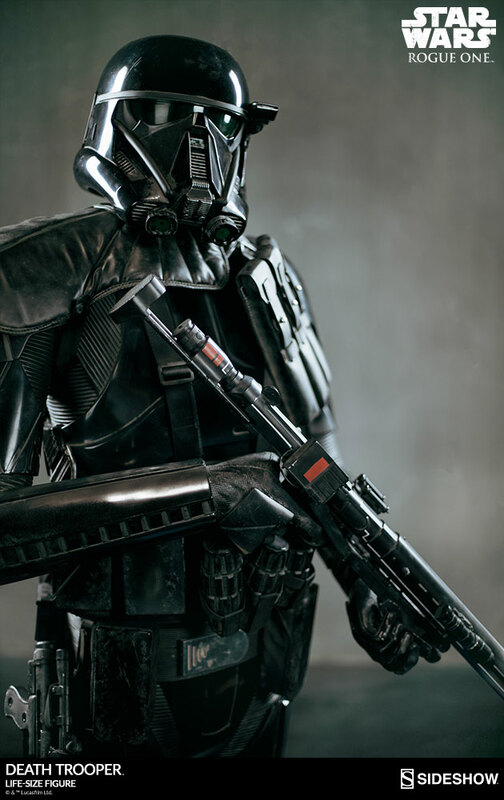 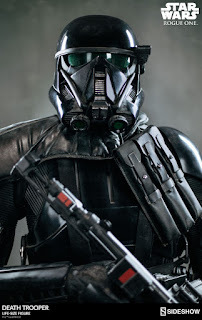 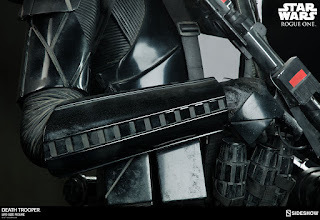 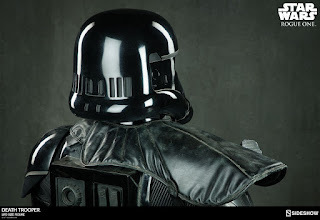 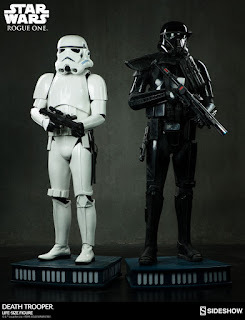 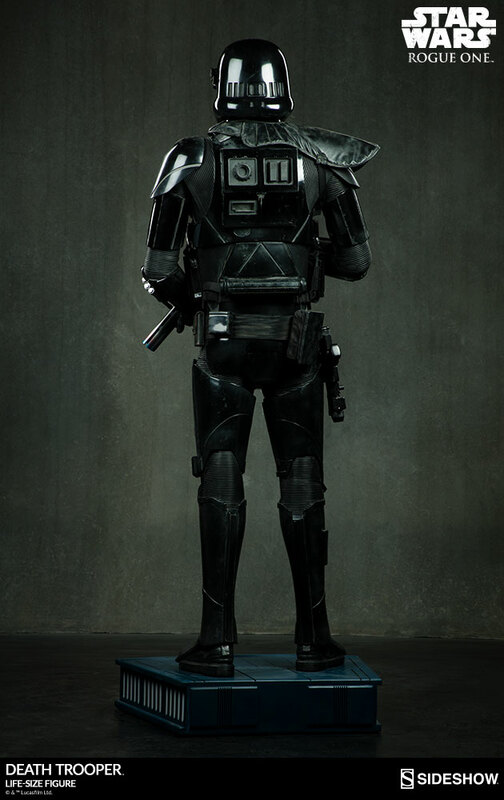 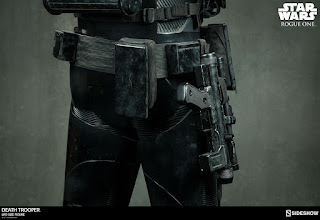 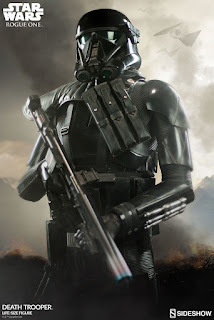 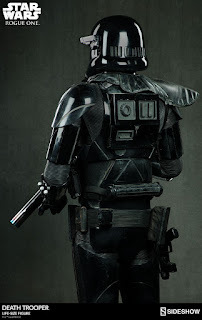 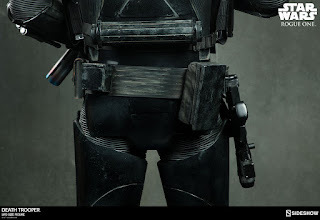 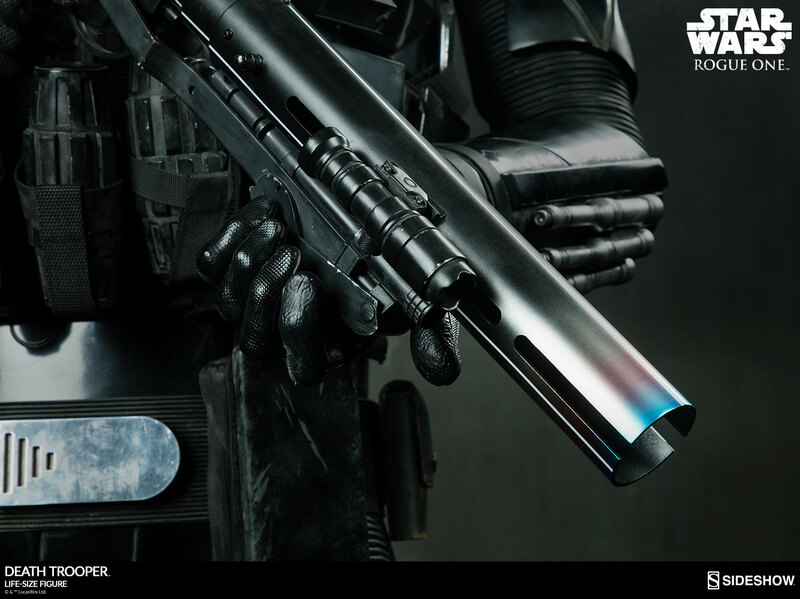 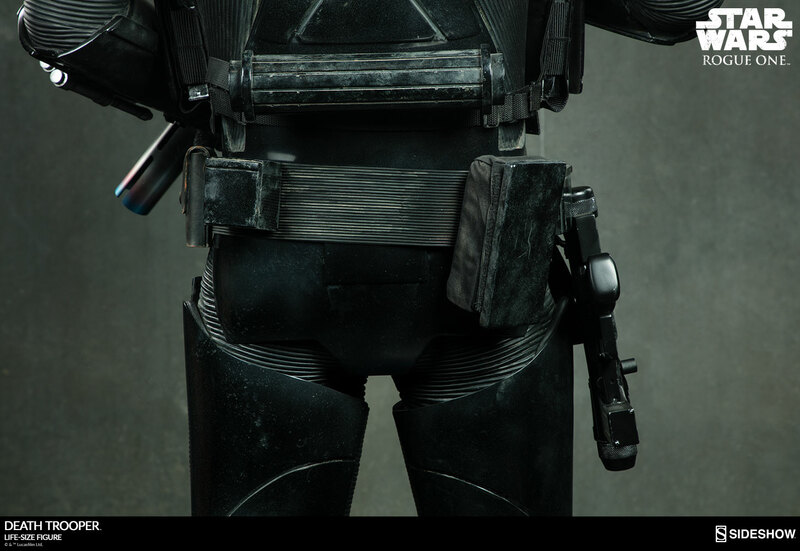 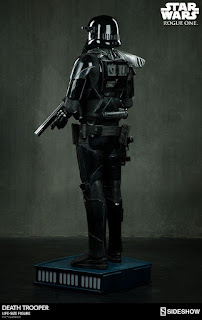 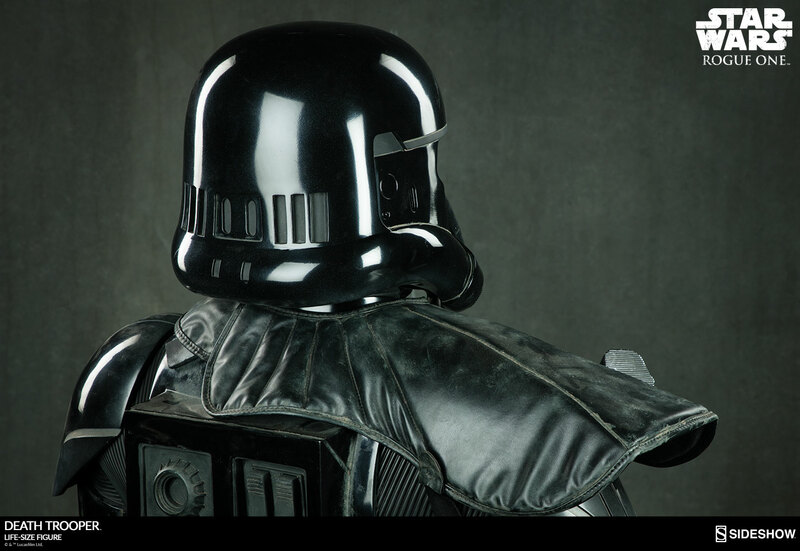 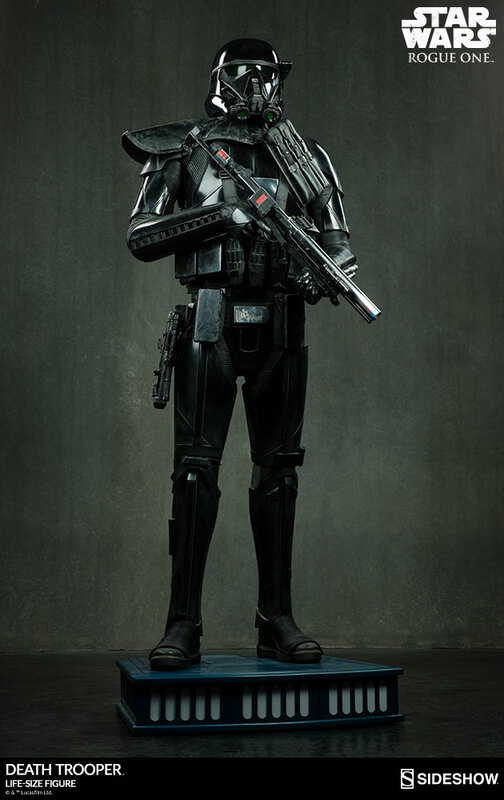 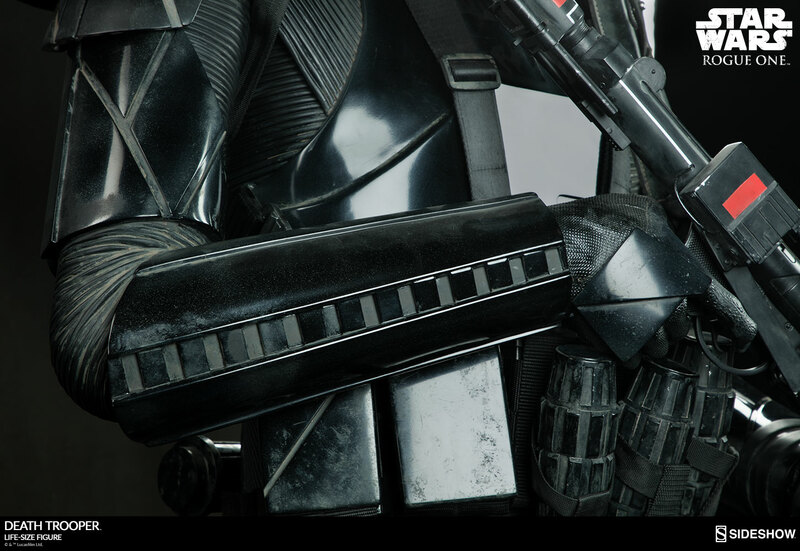 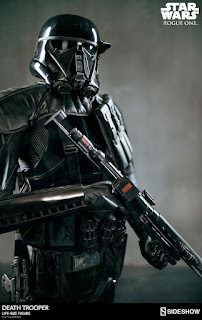 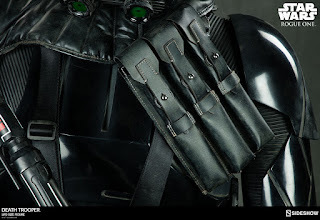 Sideshow Collectibles has unveiled something we're betting many a Star Wars collector would love to have within the ranks of their collection - the Rogue One: A Star Wars Story – Life Size Death Trooper. 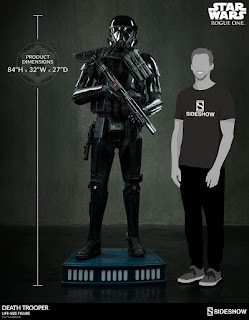 Standing at a towering 84" tall, the Death Trooper features a themed display base, features an articulated head, interchangeable components and more! 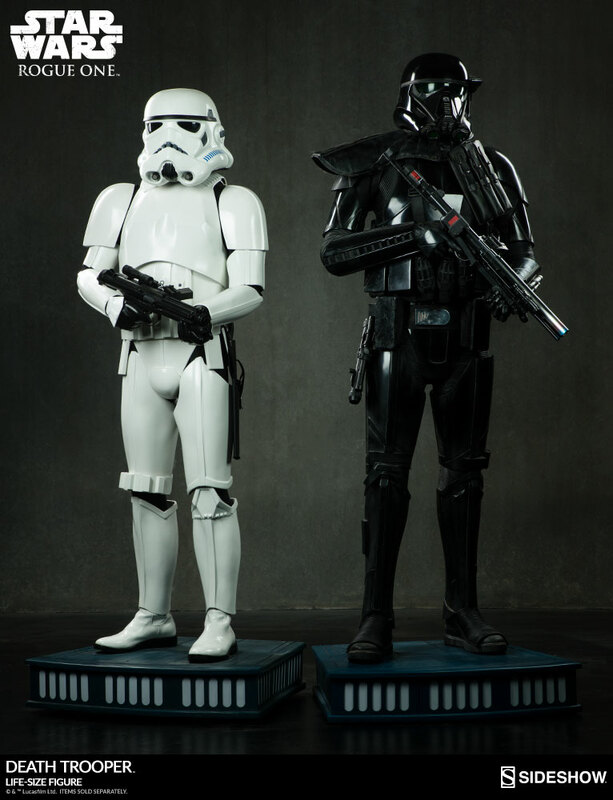 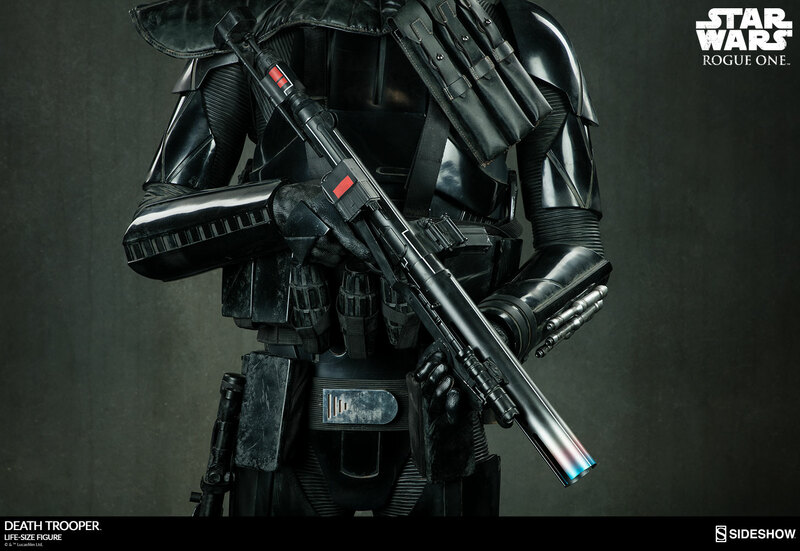 Pre-Orders for the Life Size Death Trooper begin tomorrow. 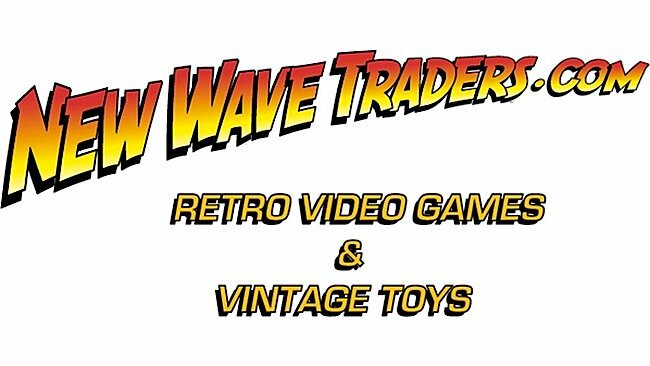 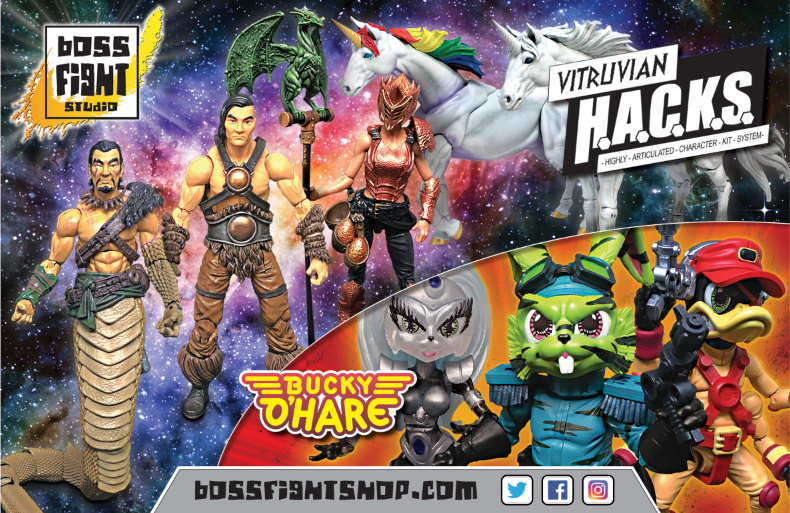 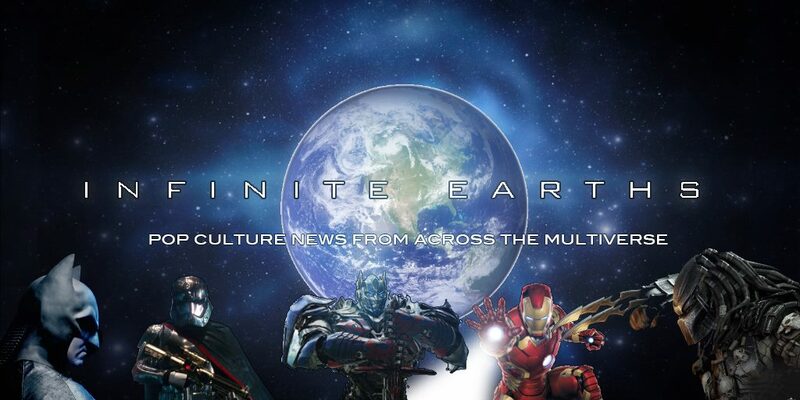 Do you have your credit card ready?